This country Pinecone Triple Hook is adorned with realistic looking pine cone to add that back to nature look to your cabin bath, foyer or kitchen. 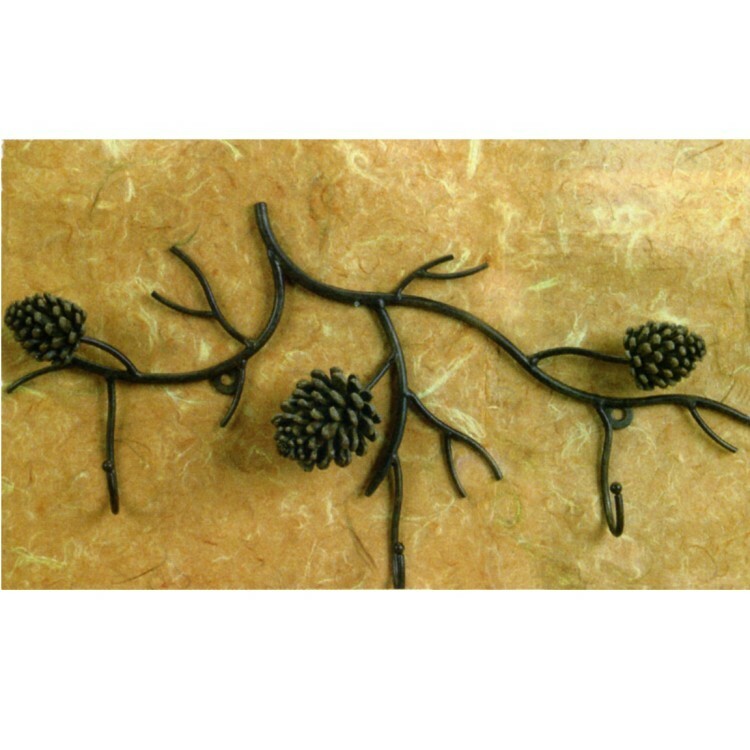 This country Pinecone Triple Hook is adorned with realistic looking pine cone to add that back to nature look to your cabin bath, foyer or kitchen. Measures 20" W x 9" H with 3 sturdy hooks.